If you’ve ever experienced a kidney stone, it’s something you will always remember. Kidney stone pain can be overpowering, often arriving in waves until that often tiny stone passes through your urinary tract and out of the body. Kidney stones aren’t always a one-time experience: about half of the people who have experienced one, another will appear within seven years without preventive measures. It is estimated that one in ten people will have a kidney stone at some time in their lives. Preventing kidney stones isn’t all that difficult; however, it does take some determination. Kidney stones, also known as renal lithiasis, is a condition whereby abnormal accumulations of solid matter are formed in the urinary system. 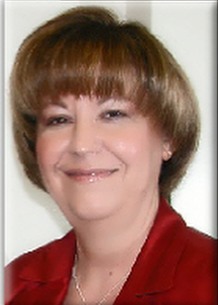 They become a concern when they interfere with the flow of urine within or out of the kidney. 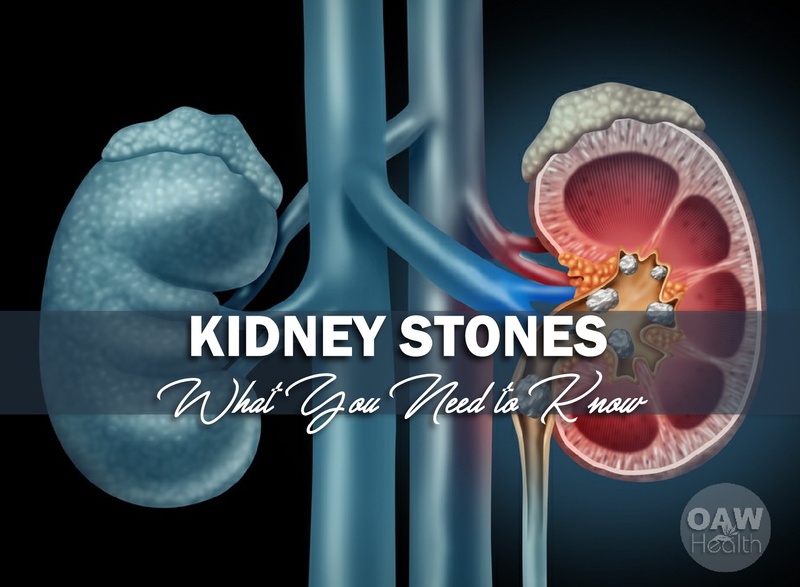 Kidney stones can cause severe pain when they attempt to move through the ureters, small tubes that connect the kidney and the bladder. Kidney stones have been recognized since the days of the pyramids in ancient Egypt. In recent decades, their incidence has been increasing. This is usually attributed to diet and a lack of fluids, especially purified water. The prevalence of kidney stones in the United States increased from 3.8% in the late 1970s to 8.8% in the late 2000s. This increase was seen in both men and women, and both whites and blacks. The lifetime risk of kidney stones is about 19% in men and 9% in women. In men, the first episode is most likely to occur after age 30, but it can occur earlier. Other diseases such as high blood pressure, diabetes, and obesity may increase the risk for kidney stones. Once an individual has formed a stone, the likelihood of recurrence is 50 percent or greater at five years and up to 80 percent at 10 years. Certain people have a higher risk of developing kidney stones. Most cases are found in people between the ages of 20-70, and they are more common in men than in women. Race also plays a factor. Caucasian Americans are more likely to have kidney stones than African-Americans. If you have a close relative who has a history of kidney stones, there is a slightly higher chance of you developing them. Also, if you have had one bout with kidney stones, you are more likely to have them again. Many kidney stones are not a cause for concern. They are small enough to pass undetected, and they do not block the flow of urine. These are referred to as “silent stones.” Kidney stones cause difficulty when they interfere with normal urine flow. When a stone attempts to move through the ureter, it can cause a blockage of urine that may lead to swelling of the kidney (hydronephrosis) or swelling of the ureter (hydroureter). Hydronephrosis can cause damage to the fragile tissues of the kidney. Hydroureter is very common with kidney stones, and causes the characteristic intense pain associated with the condition. The ureters are made up of muscle, and when there is a blockage the muscles react with painful spasms. Many patients are given morphine and other narcotic painkillers during an attack. Calcium stones: These are the most common, compromising about 80 percent of all kidney stones. These stones are formed because of abnormally high levels of calcium in the blood. Sometimes calcium bonds with phosphate or oxalate to form these stones. A diet high in animal proteins found in meat, poultry, and fish can be a factor. Certain diseases may also lead to elevated calcium levels and therefore calcium stones, such as: parathyroidism (enlargement of the thyroid gland or glands), hyperthyroidism (an over-active thyroid gland), renal tubular acidosis (see above), and some types of cancer. Struvite stones: 10 percent of kidney stones are of this type. They are composed of magnesium ammonium phosphate. The most common source for this compound is a substance called urease, which is a byproduct of certain types of bacteria. Urease makes the urine more alkaline, which stimulates struvite to settle out and form stones. This type of kidney stone is often found in patients who have had repeated urinary tract infections. Struvite stones often form in the nephrons. They are known to form very large stones called “staghorn stones,” and can be particularly dangerous as they can fill up and block off the nephrons. Uric acid stones: These are found in about 5 percent of all kidney stone cases. These form when uric acid levels in the blood are abnormally high. Small crystals of uric acid eventually come together to form stones. This happens inside the kidney, and throughout other parts of the body. Uric acid stones can also form large “staghorns.” Deposits in the big toe are common, and this symptom is also associated with a condition called gout, an arthritis-like disease causing pain and inflammation in the joints due to uric acid deposits. Cystine stones: Only 2 percent of stones are cystine. These are caused by the improper processing of amino acids in the body (see cystinuria above). The best way to prevent getting a kidney stone is to drink lots of pure, clean water, especially if you have had kidney stones in the past. Experts recommend that you pass about 2.5 quarts of urine per day, which necessitates drinking about 3.5 quarts of fluids (water is best) per day (more in hot dry weather). Your urine should appear very light yellow to clear if you are well hydrated. Drinking 4 ounces of lemon juice daily (diluted in a half-gallon of purified water) may help prevent recurrence of two types of kidney stones—calcium oxalate and calcium phosphate. The lemon juice boosts levels of citrate in your urine, which discourages the formation of these stones. Don’t add sugar, though; sugar-sweetened beverages can boost stone risk by around 20 percent, according to Ramy Youssef Yaacoub, M.D., an assistant clinical professor of urology at the University of California, Irvine, School of Medicine. Getting regular exercise is also beneficial as well. Studies have shown that a sedentary lifestyle tends to encourage the bones to release more calcium than an active lifestyle will. Diet is important too. Generally it is recommended to consume foods that are low in animal protein, low in sodium, and high in fiber. Some specific foods to avoid are: organ meats, herring, anchovies, chocolate, tea, berries, black pepper, and beer. These foods tend to encourage the formation of stones. Eat more organic fruits and vegetables, which make the urine less acid. When the urine is less acid, then stones may be less able to form. Watch your salt intake. You can reduce excess salt in your diet. What foods are high in salt? Most people would say salty potato chips and French fries. Those should hardly ever be consumed. Other foods that are salty: sandwich meats, canned soups, packaged meals, and even sports drinks. The best practice is to always read labels. Work on getting to a healthy weight, if you are overweight. High-protein weight loss diets that include high amounts of animal-based protein, as well as crash diets can add to the risk of stone formation. Certainly you need adequate protein, but it needs to be part of a balanced diet. Seek guidance from a knowledgeable nutritionist when going on a weight loss diet or any dietary interventions to reduce the risk of kidney stones. Your healthcare practitioner can decide whether medications you take for other health issues are causing stone formation, and can usually adjust your dosage or switch you to another medication. Medications that may cause stone formation include laxatives, some antibiotics, potassium-sparing diuretics (used for high blood pressure), potassium channel blockers (used to control heart rhythm and for multiple sclerosis), and sulfonylureas (used to treat type 2 diabetes). Coconut water is a very healthy drink and is considered to be good for the dissolution of kidney stones. It has been proven to be effective in breaking and flushing out the kidney stones from the body through urine. It is also found effective in relieving the burning sensation during urination. 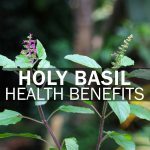 Basil contains compounds known to help stabilize uric acid levels thus making it more difficult for kidney stone formation. Basil also contains acetic acid which is a chemical known to help dissolve stones. Taking one teaspoon of basil extract or pure juice per day may help prevent and treat kidney stones. Raw apple cider vinegar contains citric acid which may help dissolve calcium deposits. Two tablespoons of raw apple cider vinegar mixed with 8 ounces of purified water may reduce the symptoms of kidney stones and prevent their formation. This mixture can be taken several times a day and is most effective when consumed before meals. As I have indicated, purified water is essential when it comes to passing kidney stones. Watermelon is considered a diuretic and increases urine formation. In addition to drinking as much of purified water as you possibly can, drink 1 – 2 glasses of watermelon juice every day. Goldenrod is used as a protector of urinary tract and kidney health and as such is supported by modern medicine. The diuretic properties of goldenrod can help release excessive water from your body by increasing urine flow through your kidneys and bladder. This helps to remove renal deposits, which otherwise might develop into kidney stones, by irrigating the kidneys. Goldenrod also helps to remove harmful organisms, thereby supporting the overall kidney health. Wheatgrass juice contains antioxidants that may help to expel minerals and salts from the urinary tract thus preventing them from crystalizing into kidney stones. Wheatgrass also contains compounds that increase urine production, allowing stones to pass more easily and reducing the risk of their formation. 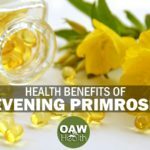 Consuming 2-8 ounces of pure extract or juice daily usually gives the best benefits. Celery is full of antioxidants and compounds proven to increase urine production. Including celery seeds in meals on a regular basis may help reduce the development of kidney stones. Several organic celery stalks can also be juiced. 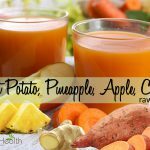 It is advised to start out with about 4 ounces and build up to 8-10 ounces of raw juice. Raw celery juice can be consumed daily to help treat kidney stone symptoms. The herb Uva Ursi contains both disinfectant and solvent properties that may help cleanse the urinary tract and ease the process of passing kidney stones. Some research indicates that 500 mg of pure, dried uva ursi three times daily may be beneficial for those with kidney stones. Uva ursi supplements and tinctures can also be taken to help with the removal of kidney stones. The magnesium content in kidney beans is known to help reduce kidney stones as well as their symptoms. To get full benefit from the beans, it is suggested to remove them from their pods and slowly boil the pods for approximately 5-6 hours. The resulting liquid should be strained, using a cheesecloth, and then served warm or cooled. The liquid can be consumed several times daily. Chanca Piedra’s (lab grade) scientific name is Phyllanthus niruri. It is a widespread tropical plant usually found in coastal areas, known by the names of stonebreaker or seed-under-leaf. It has proven success rates in the treatment of kidney stones. This plant has the ability to break down and prevents the development of new kidney stones. All-natural, Chanca Piedra has been shown to crush kidney stones thus allowing easy passing of left-over stone materials. Studies have also reported almost instantaneous pain relief following the consumption of Chanca Piedra. It first got the attention of the scientific community in a 2002 study on rodents which demonstrated it slowed or halted kidney stone growth. Additional studies indicated Chanca Piedra actually interferes with the formation process of the stones. Extra-virgin olive oil may help ease the passage of kidney stones by lubricating the urinary tract. A 2 ounce glass of olive oil with 2 ounces of fresh lemon juice taken first thing in the morning and late in the afternoon may reduce pain and discomfort. Follow with a 12-ounce glass of purified water. Also drinking the mixture while cold makes consuming the olive oil easier. I suggest making up the olive oil and lemon juice mixture several hours ahead of time and putting it in the fridge. Take it out and let it sit for about 15-20 minutes before consuming. Shake well. Wait 30 minutes. Then, squeeze the juice of 1/2 lemon into 12 ounces of purified water, add one tablespoon of organic raw apple cider vinegar and drink. Repeat the lemon juice, water and apple cider vinegar recipe every hour until symptoms improve. Drinks made from the fruits of Tribulus terrestris may help lower phosphate levels in the urine, making it harder for stones to form. Tribulus terrestris also contains compounds known to increase urine output and help dissolve mineral deposits. All the parts of the plant and its fruits can be consumed raw. The herb may only be available in pill form or dried form for use as a tea, though various supplements are available. One 500-mg pill, or 1 cup of tea, may be enough to help prevent kidney stone formation and ease their passage. The astringent and antioxidant properties of pomegranates may reduce the chances of developing kidney stones as well as ease their passage. A 2008 study concluded that compounds in pomegranate juice prevents the formation of certain types of kidney stones by lowering the acidity of urine, making it more difficult for stones to form. Purchasing whole pomegranates and eating the seeds or juicing the seeds is the preferred way to experience these health benefits. Dandelions contain compounds that increase the production of bile and urine, helping to rid the body of waste. In a pill or capsule form, 500 mg of dried dandelion extract may help ease the symptoms of kidney stones and/or prevent their formation. In tea or juice form, 3 to 4 cups daily are recommended. Add baking soda to a 10-ounce glass of lukewarm water, stir well and drink two to three times a day to treat kidney stones. You can also mix baking soda and 2 tablespoons of organic apple cider vinegar. Wait for the fizz to disappear before drinking the concoction. Take this two to three times daily to dissolve kidney stones. Research suggests that the use of an inversion table can help pass stone fragments after extracorporeal shock wave lithotripsy. Extracorporeal shock wave lithotripsy sends a targeted shock wave is through the body to break up stones. The study indicates that inversion therapy helps the body pass the broken stones and leftover remnants. If kidney stones seem to run in your family or if you’ve already had to deal with kidney stones, it’s probably best to implement a prophylactic or preventative strategy by using some of the recommendations above. Even though kidney stones are hardly ever life-threatening, the pain they cause can be extreme. It’s also wise to consult a trusted and qualified healthcare practitioner to help you find the underlying cause of your kidney stones rather than just treating the stones after they happen. Natural Remedies for Kidney Stones. Consumer Reports. March 2018. Prophylactic effect of coconut water (Cocos nucifera L.) on ethylene glycol induced nephrocalcinosis in male wistar rat. Int Braz J Urol. 2013 Jan-Feb;39(1):108-17. doi: 10.1590/S1677-5538.IBJU.2013.01.14. Phyllanthus niruri as a promising alternative treatment for nephrolithiasis. Int Braz J Urol. 2010 Nov-Dec;36(6):657-64; discussion 664. Nutritional Management of Kidney Stones (Nephrolithiasis) Clinical Nutrition Research. 2015 Jul; 4(3)137. Sruthika, “How to Get Rid of Kidney Stones Using Baking Soda,” DIY Remedies, August 3, 2016. “Dandelion.” University of Maryland. University of Maryland Medical Center, 1997. Web. 2 Mar. 2017. Melzig MF. Goldenrod–a classical exponent in the urological phytotherapy. Wien Med Wochenschr. 2004 Nov;154(21-22):523-7. “Kidney stones.” University of Maryland. University of Maryland Medical Center, 1997. Web. 2 Mar. 2017. Hariprasath, K., et al. “ANTIUROLITHIATIC ACTIVITY OF TRIBULUS TERRESTRIS FRUITS AND PUNICA GRANATUM SEEDS IN ETHYLENE GLYCOL INDUCED RAT MODELS.” Indo American Journal of Pharmaceutical Research (2013): n.pag. Web. 2 Mar. 2017. Azarfar, Anoush, et al. “Evaluation of the Effects of Magnesium Supplement in Primary and Secondary Preventions of Nephrolithiasis: A Systematic Review.” Reviews in Clinical Medicine 3.1 (2016): 18–22. Web. 2 Mar. 2017. Yu, X., et al. “Application of Inversion-Table in the Treatment of Lower Pole Renal Stones.” Zhonghua wai ke za zhi [Chinese journal of surgery]. 47.4 (2009): 255–7. Web. 2 Mar. 2017.